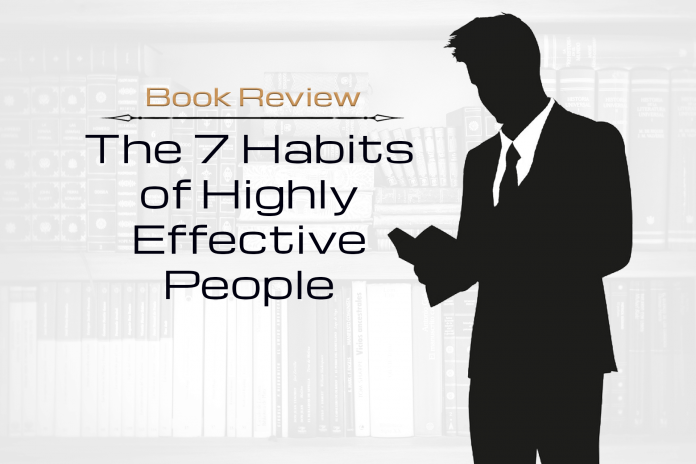 The 7 Habits of Highly Effective People is kind of like a road map for living a life of principles and values. The seven habits are meant to help you strike the balance between achieving your goals – production – and remaining a strong, able person so that you can continue achieving them for a long time to come – production capability. 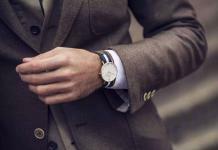 He breaks his seven habits into three parts: there are three habits of Private Victory, which help you define and become the person you truly want to be; three habits of Public Victory, which help you manage social and personal relationships in a way you can be proud of; and one habit of Renewal, which helps you ensure you can continue to implement the other six habits on a regular basis. The essence of Covey’s message is one of principles and values. Put in the work to really define what’s most important to you, he says, and the right action in any given situation will become clear. At first blush this may not seem like a natural fit for guys looking to boost their self-esteem. It’s not a step-by-step manual for how to improve upon some skill or project more confidence. But for guys looking to build real, deep, authentic self-confidence, there’s a lot to like about this book. Covey’s rejoinder to really get in touch with your values and the exercises he recommends to help you do so can be very empowering. Defining your values and then doing as much as you can to act in accordance with them is truly elevating. Think about how good it feels to make a small gesture like holding a door open for another person or giving to charity. There’s undeniable strength in feeling like you’ve done the right thing. 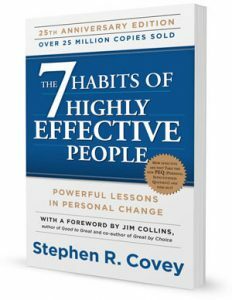 Covey’s seven habits are essentially a road map designed to help you do the right thing – and reap the positive benefits of doing so – as often as possible. Another strength of Covey’s argument is his recognition of human limits. No one’s perfect, and as much as you may want to be your best self, you’re going to have moments of weakness, when you give into temptation, or lethargy, or apathy, or any number of other less than ideal states of mind. Covey recognizes this and has built in strategies for overcoming it. 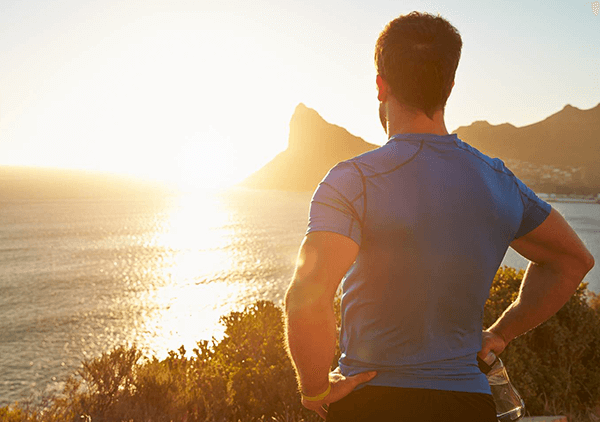 The seventh habit is devoted entirely to taking time to care for your mind and body, so that you can replenish your strength and continue striving toward your goal. While many self-help books outline unrealistic expectations, Covey recognizes that people are imperfect, they stumble and falter. Rather than blame you for this, he simply recommends ways that you can get back up and back at it. Another great, and surprising, asset of the seven habits is how practical they are to implement into your life. What Covey offers here is not a theory on how you might live effectively – he goes so far as to offer instructions. For instance, he includes a weekly planner/calendar in the book that you can easily use to plot the week ahead and ensure that you’re spending as much time as possible on the things you value most. This kind of practical, implementable advice is rare for a book that focuses so much on values, and is one of the reasons it’s become such a seminal work. The other thing I really appreciate about The 7 Habits is how easily you can apply them to any aspect of your life. Covey comes from the business world and the advantage of implementing the seven habits in an office setting is obvious. But he also recognizes that we don’t exist in a vacuum. Behaving effectively while we’re at work, but ineffectively in every other aspect of our lives, would be deeply unsatisfying. That’s why I appreciated how Covey goes out of his way to make the habits universal and applicable to any aspect of life. 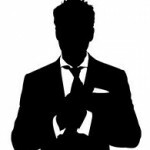 As I read it, I envisioned how I might apply them to various personal and professional goals. And though those goals were all very different, each one seemed easier after I started viewing it through the lens of the seven habits. There’s not a lot to dislike here, but one thing I will flag is that this is not an easy read. I read through it twice in full before I actually started implementing the habits and found the second reading to be extremely valuable – and maybe eve necessary – for clarifying certain aspects and really helping them resonate with me. Don’t expect any quick fixes here: what Covey’s proposing is a system for making your entire life more effective and more rewarding. That’s going to take time. The other thing worth noting is that Covey was a devout Mormon, and while he only explicitly mentions god once or twice, the book does veer into the spiritual at times. As a non-religious person I wasn’t much bothered by this. After reading it a second time, I got the sense that while Covey’s philosophy toward life was obviously informed by his religion, he purposely set out to write a tome that could be adopted by anyone of any creed. For the most part I think he achieves this goal, and to his credit he does not try to sneak religion into an otherwise secular text. He’s upfront about his beliefs and values, and leaves it to the reader to determine whether their own beliefs jive with his. For the most part, they did with mine, and I think that most people would say the same. Can this book help you build self-confidence? But the benefits go beyond simply defining your highest self to offering real, implementable ways to become him. While it can be a tough read and requires a fairly large time commitment, it’s absolutely time well spent. I first read the book about five years ago, and I still use so much of it in my daily life. I use a variation of Covey’s weekly planner to plot out each week and continue to benefit from defining (and reminding myself of) my roles and goals. Time magazine called The 7 Habits a “tour de force on confidence building” and they were absolutely right. This is a great book for anyone interested in any aspect of self-improvement, including self-confidence. This is a great book for anyone interested in any aspect of self-improvement, including self-confidence. Getting in touch with your highest values and defining who you want to be at your highest ambitions is a hugely empowering exercise. But the benefits go beyond simply defining your highest self. This book offers real, implementable ways to become him. Thank you for sharing this. I read the 7 Habits in college and it basically changed my life. HIGHLY recommend! You’re welcome, Ivan! 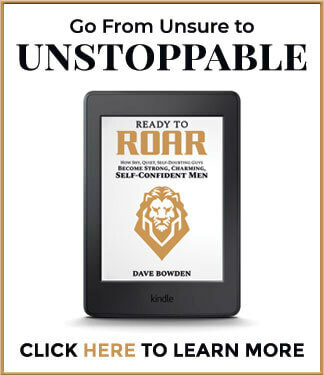 Totally agree – a great book, and a must read for all guys on that path toward self-improvement and self-confidence. Hi Dave. Just wanted to say thank you. I picked up a copy of the 7 Habits and it was as advertised. Great recommendation. Keep up the great work! You’re welcome Charles! Glad you enjoyed it and thanks for the kind words! Thanks for signing up! Check your inbox to confirm your subscription and find out how to squash self-doubt. "The first email in the series really helped me reframe the way I think about myself, and email #3 made me way more comfortable in my own skin. Thank you!" Don't let your brain hold you back. and cultivate a confident mindset.